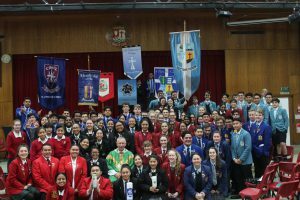 Vinnies from Wellington, Kapi-Mana, Hutt Valley and Masterton Catholic Colleges join with Cardinal John Dew to celebrate the Society of Vincent de Paul 150 years’ service in New Zealand. 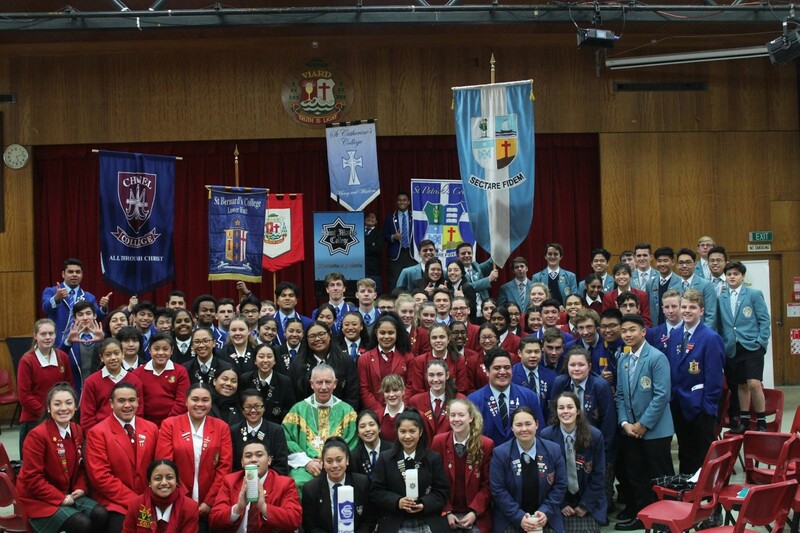 WelCom September 2017: Over 200 people attended the annual Young Vinnies Mass held at Bishop Viard College on Sunday 13 August. The Mass also celebrated the Society of Vincent de Paul’s 150 years of service in New Zealand. Vinnies from Catholic Colleges in Wellington, Hutt Valley, Masterton and Kapi-Mana, DRSs, teachers and deputy principals, gathered with SVdP members and representatives from the District Councils. Kelly Ross, Bishop Viard College DRS, and her Vinnies team organised the Mass and music teacher Gemma Lorenc organised the choir and band. Brendon Quirk, President of Seatoun Parish, is organising a memorial Vinnies Mass on Thursday 21, September 2017, at 7pm, St Anthony’s Church, Cnr Ludlum St and Falkirk Ave, Seatoun. All are invited.